Dacia’s range of no-nonsense cars offers exceptional value for money and includes the All-New Duster, Logan MCV, Sandero and Sandero Stepway. 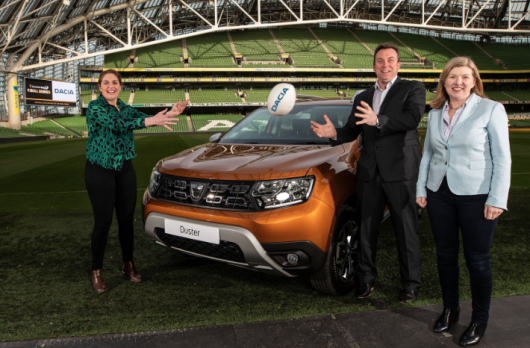 In 2018 Dacia reported record sales in Europe and maintained its placing on the Irish market which mirrors the great success of the Guinness PRO14 in recent seasons. Dermot Rigley, Commercial Director, PRO14 Rugby said: “We’re always thrilled to welcome a new member into our sponsorship family and ourselves and Dacia are coming together at a time of great success and growth for both organisations.